The Chamber is hard at work for you, your business, and your community! 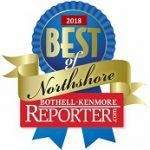 For over 15 years the Bothell Kenmore Chamber of Commerce has been actively involved in local economic prosperity, supporting and promoting businesses, fostering strategic partnerships for our members, and developing an active and vibrant community. or scroll down to learn more about what we do at the Chamber…. When customers see your Chamber membership badge they know your business invests in and cares about your community! Whether you’re planning, starting or growing a business we can assist you with the resources you need to succeed. The Chamber markets your business and provides you with many self-marketing opportunities to amplify your brand awareness! Connecting with others is key to your business success! We offer 50+ events a year to help you connect and strengthen your professional network. The Chamber provides many opportunities for your business to connect with your community through volunteering, events, sponsorships and more. The Chamber actively promotes local businesses, provides business-building opportunities, participates in legislative activities, works with civic and state leaders, and advocates on behalf of local business interests. As the official City of Bothell Visitor Center we provide resources for local and area amenities, services, lodging, recreation and more for tourists, visitors, new residents and businesses. through collaborative leadership, business advocacy and member-driven services. Dedicated to the prosperity of the greater Bothell and Kenmore area in a competitive world.